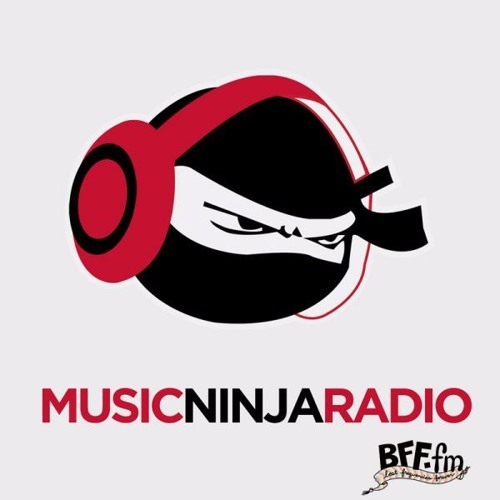 Although The Code‘s residency here at The Music Ninja might be over, the mysterious duo were still kind enough to drop off another little surprise for all their fans. While their own music is generally steeped in a darker, edgier soundscape, here they’ve cooked together a sultry mix of upbeat R&B and pop jams for your enjoyment. As you can see from the tracklist below, the mix features a diverse selection of artists, meaning there’s something for just about everyone here. It also makes for a perfect listen any time of the day, from the moment you wake up to the moment you decide to rest your head back down on your pillow–and everything in between. Why not hit play and kick your Saturday off the right way? We promise your toes will be tapping before you even realize what’s happening. When we first introduced them as our resident artists for this month, we challenged you to see if you could crack The Code. That’s proven even more difficult with the release of their Blue Electronica EP, as the genre bending duo have continued to defy expectations since their emergence on the scene two years ago. The minute you think you’ve got them all figured out, the pair manage to throw a curveball your way that completely changes the way you view their music. We sat down with them recently to understand their recording process and the inspiration behind their music. See what they had to say about Blue Electronica, and listen to the entire project below. If you like what you hear, make sure you pre-order the album here. TMN: It’s crazy to think that you’ve been able to amass such a large following without anyone learning your identity. These days there’s a lot of pressure for artists to open up and engage their fans via social media, but at the same time there’s been a growing contingent of reclusive artists trying to keep the focus exclusively on their music. Can you guys discuss some of the reasons why you decided to pursue this path, and some of the challenges that come along with it? The Code: Well just like you said to focus on the music. At this stage nothing else is important. There are challenges in everything, so by choosing whatever path you should prepare and accept them, positive or negative. TMN: Like we said, no one’s quite been able to crack The Code just yet, and we’re interested in learning a bit about the significance behind your name: what does it mean to you and what does it represent? The Code: It’s more what we are, not who we are. It represents the music, and our visual compass. TMN: You guys have basically created your own signature sound, blending elements of electronica with R&B rhythms and hazy melodies. Can you talk to us a bit about your inspiration and how you came to develop this style? The Code: Organically. Just creating what makes sense to the mood at the time, whether that be something energetic or chilled. Inspired by everything, not just music. In this day there is so much going on in the world its hard not to be inspired by everything. TMN: You recently released your Blue Electronica EP, and the color seems to be a pervasive theme in both your music and artwork. What is it about the color blue that makes it so prominent in your aesthetic? The Code: Blue is a calming color which can be dark, light, soothing and irate. It can also represent so many different things and the contrast between our interpretation of the color “blue” and “electronica” really fits. TMN: In 2014 you introduced yourself to the world with the release of your debut mixtape, 1|11. This last project though, was much smaller in scope. Were there any changes in your approach when it came time to record Blue Electronica? The Code: Not really, it all comes down to timing, both were made at different times in different moments. TMN: There’s a lot of exciting talent emerging on the UK music scene lately. It seems like every time we turn our heads we find someone new. Are there any names you guys are keeping your eyes on, or anyone specific you’d like to collaborate with? The Code: Anyone who wants to make music, any who is positive. If the time is right then anything is possible. TMN: Now that you have two projects under your belt, what else is on the horizon for The Code? Do you guys plan on doing any touring? The Code: More of everything. It’s all been absolutely amazing so far. TMN: Is there anything you’d like to say to someone who’s just hearing your music for the first time? The Code: We appreciate your ears. The Code: Not really sure, every area has stigma’s and stereotypes, good and bad. TMN: If you could teach a robot to feel emotion through music, what album would you show them? TMN: If your music was a drug, how would it make people feel? The Code: You’d have to ask the listeners that one. It’s not often that our resident artist is shrouded in such mystery. The Code, however, are used to being the exception by now. Although details are sparse, one thing we can say for certain about the artist-producer duo is that they are systematically working to reinvent R&B. Their music is often a genre-bending blend of sensual vocals, hazy synths and slinky rhythms. After dropping their highly acclaimed debut 1|11 mixtape back in 2014, the UK based group are currently gearing up to release their upcoming Blue Electronica EP later this year. See if you can crack The Code yourself by sampling of some of the songs from the project below, along with a unique remix of Calvin Harris‘ “How Deep Is Your Love”. The collection of musical artists that call themselves The Code have come out with a provocative new single called “F**K.” Their unique style of indie electronic takes from sounds ranging from R&B to dubstep. Although the production is a midtempo four-to-the-floor groove machine, it’s iconic wubs are an example of taking something from one genre, and bringing it to another in a brand new way. This self-release is proof that independently released records can A. be awesome, and B. be successful releases, as this song has gathered over 60,000 plays since being uploaded to Soundcloud. As far as sales go, we don’t have those numbers, but if you would like to add to them, then you may do so on iTunes. Buying music is falling by the wayside, however this is a record that we say is worth the minuscule fee. It’s alluring tones can’t be shaken. Hello ninjas, and welcome to Sunday Night Soul Volume 20. We embarked on this journey exactly 5 months ago with the goal of finding only the best tunes the internet had to offer. What started off as a fairly modest effort, has now grown substantially to the monstrosity you see here (and we mean “monstrosity” in the most loving way possible). We’re proud to see how the field has expanded to include various different soundscapes, increasingly pushing the genre to new limits. It’s an exciting time for R&B music, and we’re pleased to be to sitting right here in the front row, watching it evolve right before our eyes.Of course, you can hear that growth for yourself below. This week’s collection includes multiple doubles. By doubles we mean you’ll be seeing more than a few names repeated multiple times throughout. Whether it’s through remixes or features, what it indicates is that plenty of your favorites were incredibly busy this week. Standouts come by way of Zuper, Dpat & Atu, SZA, White Lights, Bipolar Sunshine, Gallant, Z.Woods, Mila J, Rush Davis, Muzi, Ta-Ku, Fei-Fei, subdaio, elkco, Lido, ForteBowie, TOKiMONSTA, Figgy and Dolphin Tears. That might seem like a substantially long list already, but that’s just scratching the surface of what tonight’s pallet has to offer.